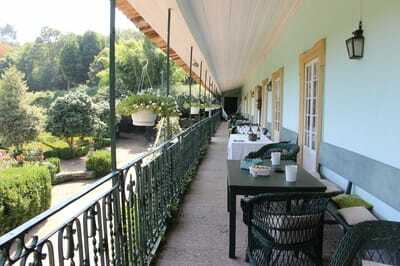 ​Lamego is a handsome town on the terraced slopes of the Douro Valley. 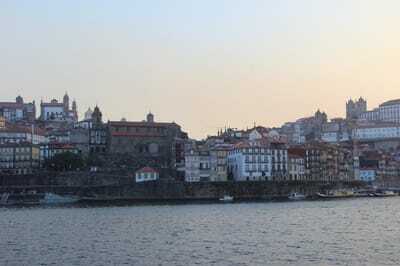 Home to Portugal’s first parliament, it is brimful of noble manor houses and spotlit medieval monuments. As far as tourists are concerned though, its main claim to fame is an 18th century shrine, the Sanctuary of Our Lady of Remedies, flanked by twin bell towers. Back in the day, pilgrims climbed 600 zigzagging steps to reach this sanctuary nudging the clouds but fortunately our coach did the journey for us. 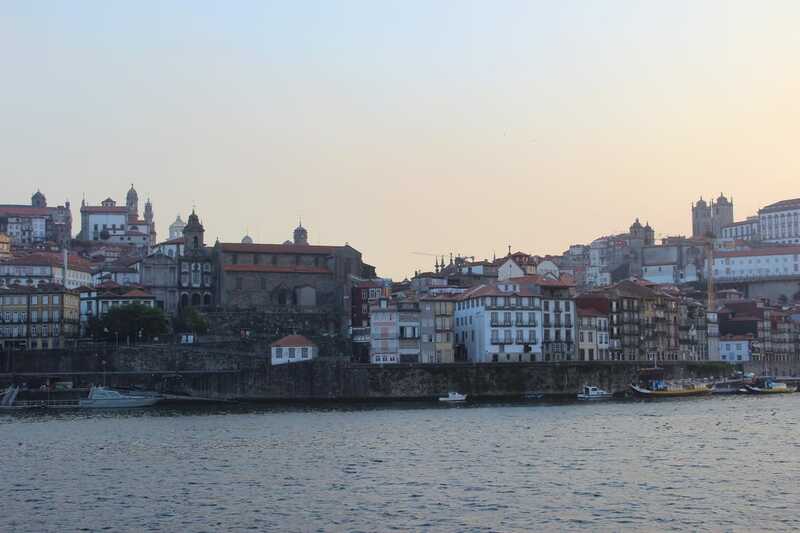 We’d started our week’s river cruise a couple of days earlier in Porto – Oporto to the locals - the northern Portuguese terracotta-roofed coastal city that gave its name to the fortified drink. 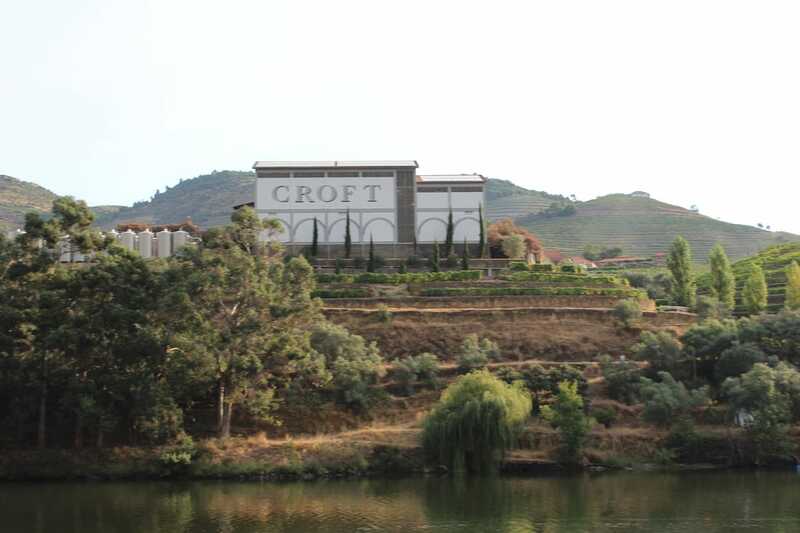 The part of town called Vila Nova de Gaia, which lies at the other side of the river, is home to several British port wine cellars, their names emblazoned on signs from the 1950s – Cockburn, Taylor, Croft and Graham, the latter founded by two Scottish brothers in 1820. We crammed in a whirlwind sightseeing tour before our ship set sail next morning. 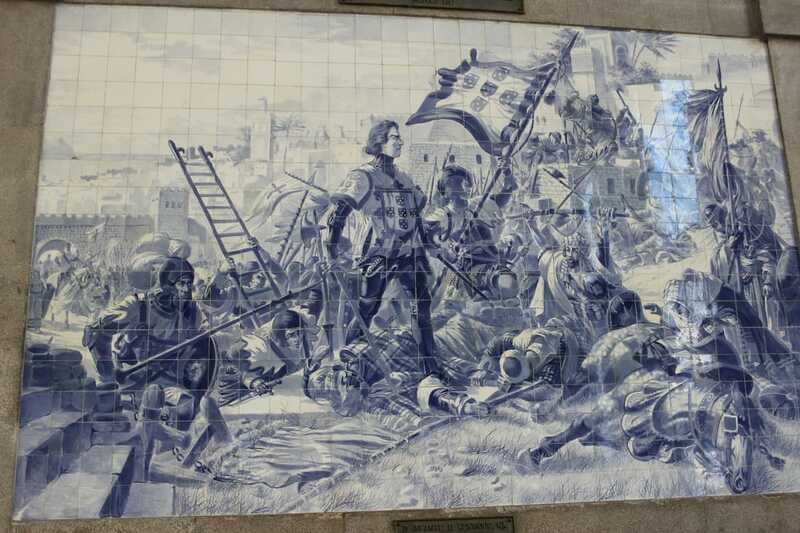 The historic centre of the city is a UNESCO World Heritage Site and walking around town, the tiled splendour of Porto’s Sao Bento railway station had cameras clicking as did Lello, a bookshop dating back to the early 1900s with neo-gothic facade, wooden walls and imposing staircase. Our talkative guide became positively ecstatic when it came to talking about Dutch architect Rem Koolhaas’ concert hall, the iconic, geometrically designed Casa da Musica. ‘It is THE most beautiful concert hall, excellent acoustics,’ she declared enthusiastically, ‘without a doubt, the best in Europe’. Of course, Porto is indeed charming but much of the appeal of a river trip comes from the scenery lining its banks, in this case the steep, terraced vineyards where thousands of hectares of port wine grapes are cultivated, after all, this is an oenologically blessed region. Wine production here goes way back to pre-Roman times though it wasn’t until the 18th century that it became a regulated wine-growing region. Medieval villages, blurs of white sugar cube houses, intermittently dot the landscape as do quintas - wine estates - peeping between tangles of almond and olive groves. At Regua, main town of the wine producing region, we paid a visit to the Douro Museum. 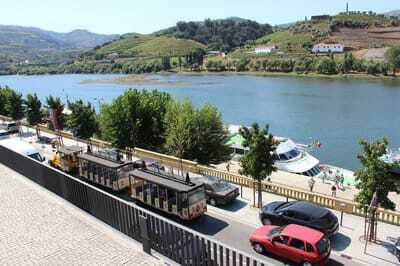 Here visitors can enjoy sampling port wine as well as gain an insight into the heritage and wine culture of the region. It was a pleasant way to squander a morning until it was time to hop on our air-conditioned coach which whisked us to the glam Mateus Palace. 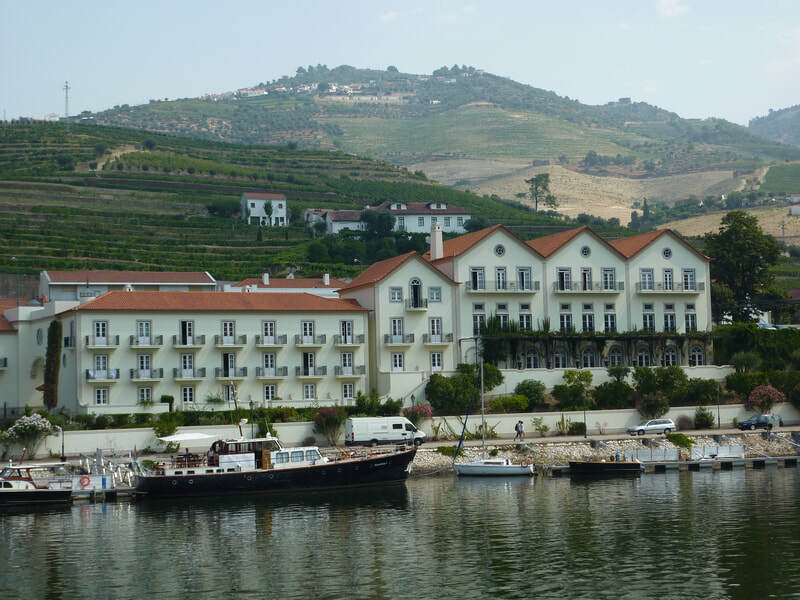 Built for the Count of Vila Real, the palace is instantly recognisable to fans of Mateus Rose wine as the image which appears on the bottle labels. It’s somewhere to drink in the beauty of the gardens while enjoying a tipple. 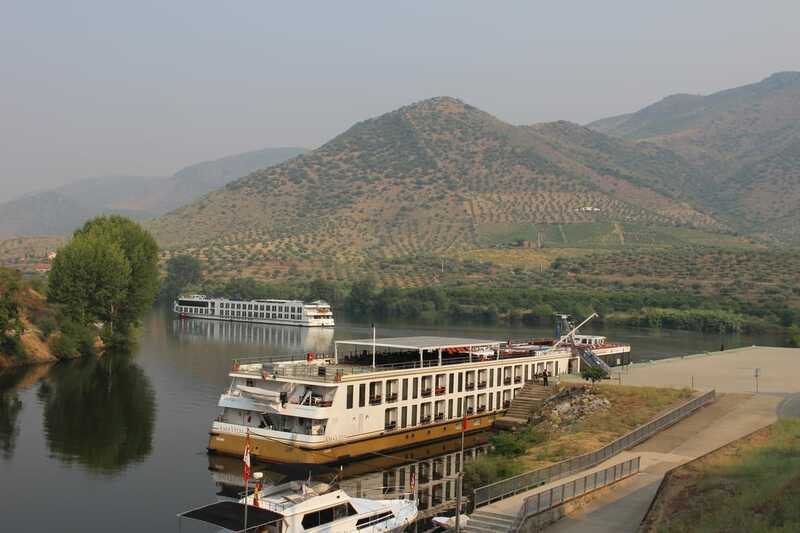 ​After crossing the Spanish border on day five of our trip, prior to turning round to head back to Porto, the ship moored overnight at Vega de Terron, a tiny place which is the setting off point for excursions to Salamanca. 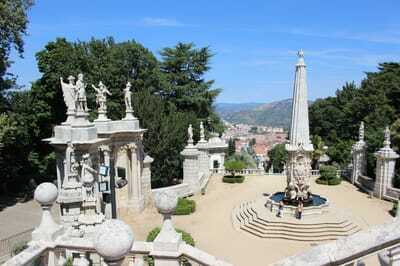 The ochre-tinted, UNESCO listed, Spanish city – in this region UNESCO sites are ten a penny - has a rich past reflected by Moorish and renaissance monuments. Its 26 arch Roman bridge stands proud, 15 of the arches are the originals so only pedestrians are allowed to cross it. 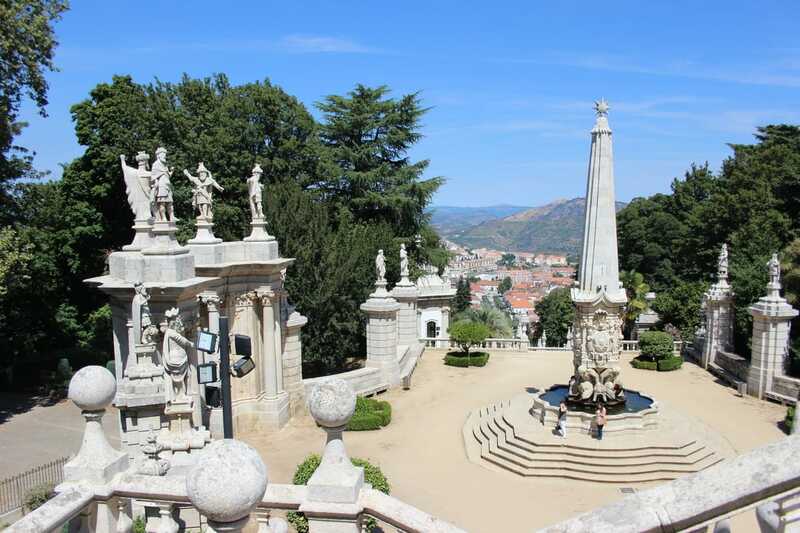 Top sights in town include the 15th century House of Shells, so-called of course because as you can guess from the name, its walls are studded with sandstone shells. There’s the main square too, the Plaza Major, the city’s heartbeat loved by locals, surrounded by arcaded walkways and brilliantly illuminated at night. 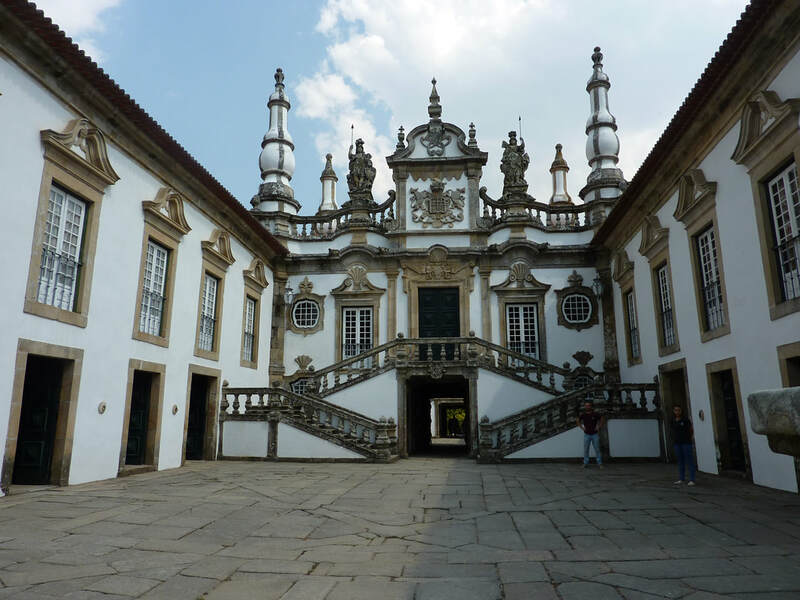 One particularly enjoyable excursion was to Guimarães, described by locals as the ‘cradle of Portugal’ and another UNESCO World Heritage listed site. 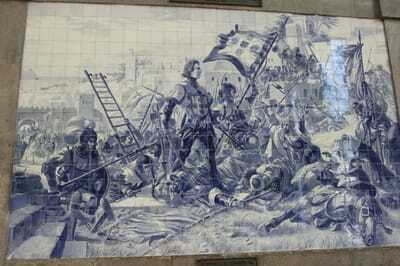 Indeed, Dom Afonso Henriques, the very first Portuguese king was born here in the 12th century. It’s a small city, a maze of cobwebby cobbled streets and café-lined shady squares and was the country’s first capital, though it subsequently lost its crown to Coimbra in 1143. A picturesque castle, now no more than an empty shell, offers head-swimming sights too much to view in one go, from the ramparts right across the city while the nearby Ducal Palace is littered with tapestries and armoury. 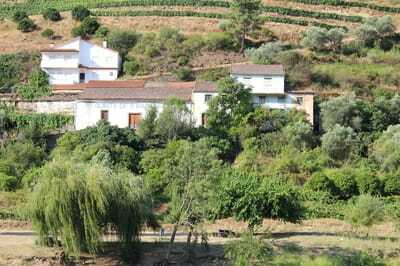 Not too far away from Guimarães we swung by the 14th century Casa de Sezim, a rather grand manor house surrounded by vineyards. Our small group was greeted by the current friendly owner who gave us a tour of his ancestral home - it has been in his family since 1376! Walls, hung with rare, early 19th century wallpaper, hand painted in brilliant demented hues, portray vivid, intricate scenes of the Old and New worlds. After touring his much-loved home he led us out onto the long veranda, bathed in sunshine and overlooking lush gardens, where as if by magic platters of local cheese, succulent ham and baskets of rough homemade bread arrived – and, what’s that? Yes of course! - more swiggable wines.